With the current success of “Les Miserables” and “Into the Woods,” it’s clear that musicals are widely loved. We crave the sweeping scores, relatable characters and romantic ballads. While there have been many great musicals throughout history, these five have stayed with us and always will. 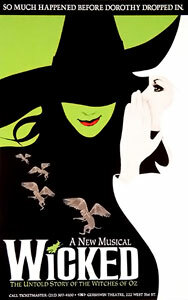 Based on the fantastic Gregory Maguire novel of the same title, we finally see the origins of Elphaba. Idina Menzel and Kristin Chenoweth gave us perfect chemistry of two girls who, at first, disdain one another, then end up becoming close friends. We see the Emerald City in its shining glory, as well as a woman who just wanted to fit in. Before my high school, Layton High, did this musical in 2006, I hadn’t heard of this Elton John and Tim Rice production, but I was blown away. Adapted from the rousing Verdi opera, it tells the story of Radames falling in love with the Nubian princess Aida, who he brought back to Egypt as a slave. Elton’s flawless talent with writing lyrics give this story new life for modern audiences. The original cast of Adam Pascal, Heather Headley and Sherie Renee Scott is a perfect trio of a forbidden love triangle. Fate will collide in Egypt. When I was 14, my grandfather told me I should listen to this iconic musical. 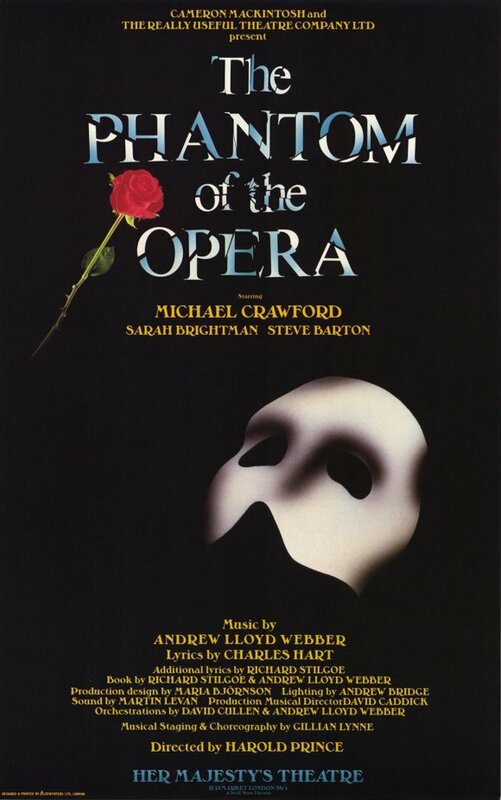 I gave it a listen after seeing Michael Crawford’s name attached to the show. He and Sarah Brightman, in her younger years, are married well to this romantic musical. There are songs that you can’t get out of your head, no matter how hard you try. Crawford is perfect as the title character, drawing from the depths of his soul to portray a complex and passionate man. If you want to keep singing “Music of the Night” and “Masquerade,” check out this enduring musical. For those who love the 1980’s film version of this story with Anthony Andrews, look no further. This Frank Wildhorn musical contains all the humor and romance of the film. Douglas Sills is THE Scarlet Pimpernel, with his flamboyant mannerisms and soaring tenor voice. There’s also Terrence Mann as Chauvelin, whose voice is seductive and a powerful contrast to Sills. “The Creation of Man” is the highlight track and will make any listener laugh and smile. Not what you’d expect? It’s the truth. This musical, inspired by the Robert Louis Stevenson story, stands above the rest. But which version is the best? Any true fan, like myself, would argue that the 1994 studio recording sinks its teeth into any listener. 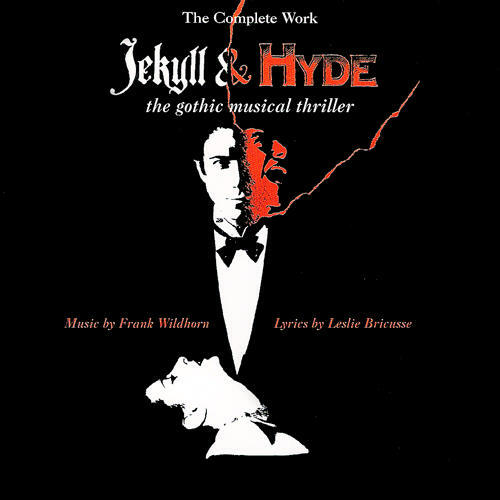 Anthony Warlow as Jekyll/Hyde has given the top performance in musical history(especially considering that this was recorded right before he was diagnosed with Non-Hodgkin’s Lymphoma). You hear and feel throughout his performance a fierceness and vulnerability in a man who goes too far. Even the raw, animalistic sounds he makes will make your skin crawl. The fantastic Linda Eder as Lucy also stands out in this London musical, especially in “Bring on the Men.” Sadly, most of these songs haven’t been used in later versions. But this golden treasure—full of violence, danger, desire and ultimate tragedy—is a damn good cautionary tale. Prepare to be blown away. These five musicals offer adventure to musical aficionados and new music seekers alike. While the film versions of most of these are still not available, they’re truly remarkable nonetheless. From the World of Oz to Egypt, these modern musicals stand above the trend of making films into musicals. These were on Broadway first, and they’ll always be up there with the best that the musical world has to offer.